Think of a branch retinal vein occlusion (BRVO) as a partial central retinal vein occlusion (CRVO). Where a CRVO involves the entire retina, a BRVO involves 50% of the retina or less. Hemi-retinal vein occlusion is synonymous with BRVO. In a BRVO, part of the retinal vein occludes (gets plugged) and blood flow ceases. Blood and fluid leak into the surrounding retina. If the macula is involved, significant decrease in vision results. If the macula is not involved, patients are sometimes asymptomatic. 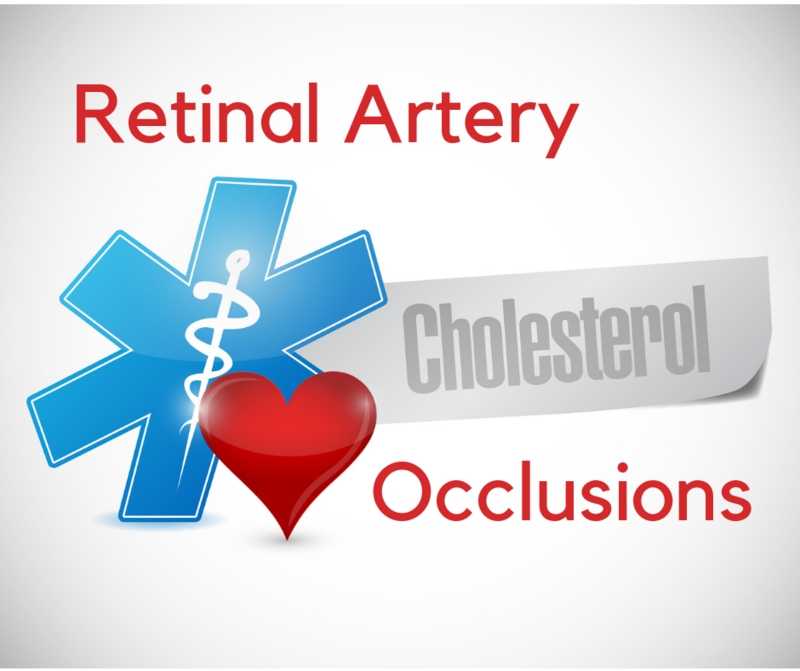 The symptoms of all retinal vascular occlusions are similar: painless and sudden loss of vision. If swelling of the macula develops, called macular edema, central vision is lost. If there is no macular edema, central vision is preserved and vision loss seems less severe. 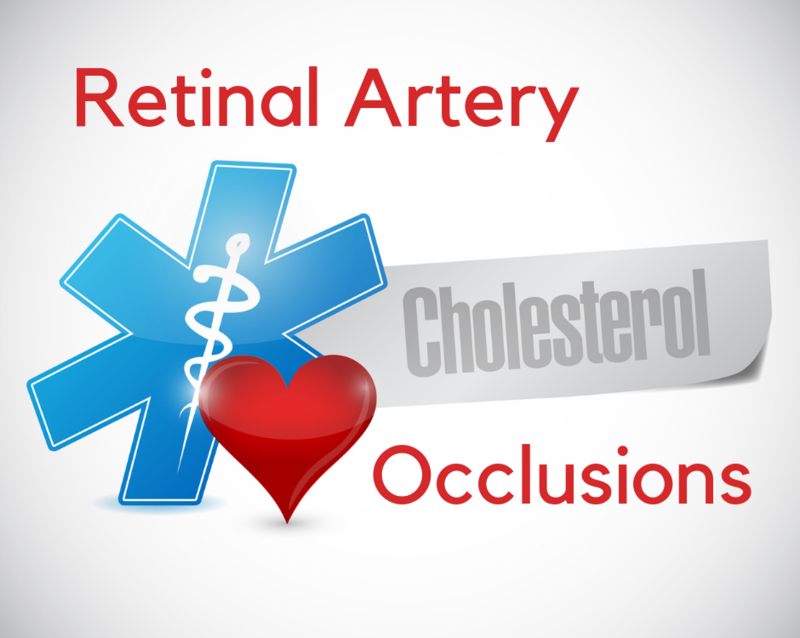 By definition, branch retinal vein occlusions involve 50% or less of the retina and vision is usually not as dramatically decreased compared to a CRVO. 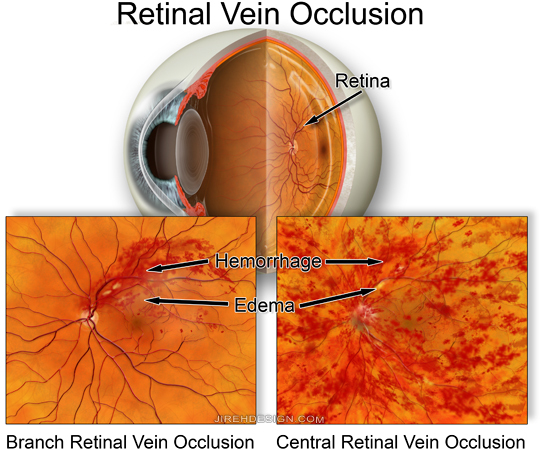 Of all the retinal vascular occlusions, branch retinal vein occlusions usually have a good prognosis. Vision can often be improved by reducing the resulting macular edema. 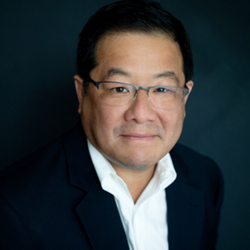 Until intraocular injections gained a foothold, laser treatment was the gold standard, Laser treatment often could reduce the macular edema resulting in some moderate improvement. anti-VEGF injections, such as Eylea, Lucentis and Avastin chemically reduce macular edema and the results can be fantastic. Steroids are also very effective and include Kenalog, Triesence (preservative free Kenalog) and Ozurdex. Ozurdex is a sustained release steroid implant lasting up to 6 months. There is a second sustained release device available called Iluvien. All anti-VEGF and steroids are given by injection into the eye.